A £5m multi-university research institute to improve hardware security and reduce vulnerability to cyber threats has been launched at the Centre for Secure Information Technologies (CSIT) at Queen's University. 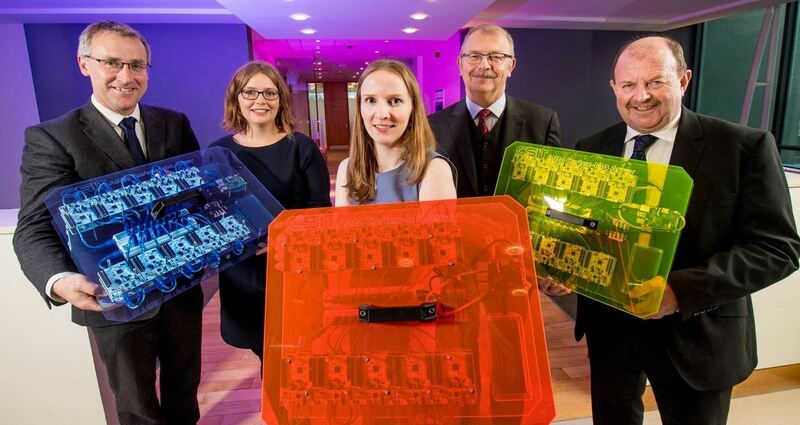 Funded by the Engineering and Physical Sciences Research Council (EPSRC) and the National Cyber Security Centre (NCSC), RISE is one of four cyber security institutes in the UK and will be a global hub for research and innovation in hardware security over the next five years. Tackling the global problem of cyber threats through four initial component projects, RISE will be led by UK research partners from Queen’s, the universities of Cambridge, Bristol and Birmingham. An advisory board will also be created to allow member companies and stakeholders to engage with the research and to inform future funding calls around the Institute’s research challenges. Following a competitive call by EPSRC and NCSC in March 2017 for a new research institute in Hardware Security, Professor Maire O’Neill, a leading cryptography expert at Queen’s, was selected as Director. Based at CSIT, Professor O’Neill will work towards increasing the nation’s academic capability in all fields of hardware security. Commenting on the launch of the new institute, Professor O’Neill said: “There is huge demand for hardware security research and innovation. As CSIT is renowned for its high-quality research in this field, and its emphasis on commercialisation of research, we are delighted to host RISE. “RISE is in an excellent position to become the go-to place for high quality hardware security research. A key aim is to bring together the hardware security community in the UK and build a strong network of national and international research partnerships. CSIT, an Academic Centre of Excellence in Cyber Security Research, is based at Queen’s University’s Institute of Electronics, Communications and Information Technology (ECIT), located in the Northern Ireland Science Park. In 2015, CSIT received a Queen’s Anniversary Prize for strengthening global cyber security and protecting the online activity of billions of internet users around the world. The Internet of Things has led to increased demand for hardware security research and innovation with growing security needs in embedded and networking devices, as well as in cloud services. An increase in the use of smart devices means that there are now many new attack methods and surfaces for criminals and hackers to exploit. Recent attacks against personal computers, mobile devices, smart meters, home automation devices and network-connected cars have posed serious security and privacy issues. Counterfeit devices are also an issue, which could lead to cloned hardware and further attack surfaces for hackers. Dr Ian Levy, NCSC Technical Director, said: “I’m delighted to see the formation of our latest Research Institute, RISE, concentrating on the potential of new hardware security technologies. Media inquiries to Emma Gallagher at Queen's Communications Office on tel: +44 (0)28 9097 5384.